Contact the practice to make an appointment in the next week – as you may, for example, need a new filling. Severe toothache keeps you awake at night and is very distressing, there may also be some swelling – painkillers will help. If you can take it, Ibuprofen is best, but may not take away the pain entirely. Please cross check against any other medications you may be taking and with any advice you may have been given by your doctor before taking pain relief. Contact the practice during working hours and we will see you as soon as possible. Out of hours, an emergency dentist is available for advice, see end of this section for details. Your dentist will advise you to take painkillers after having a tooth out because the gum and bone around the extracted tooth will be sore when the local anesthetic wears of. Swilling out with a warm salty mouthwash the day after having your tooth out will help keep the area clean. Brush your other teeth as normal. Occasionally the socket may not heal correctly and you may get a “dry socket”. This is an infection of the socket and you usually get severe toothache 2 to 3 days after having your tooth out. You need to contact the practice and to have the socket dressed. Please ring during surgery hours and we will see you as soon as possible. Sometimes the gum and bone around an extracted tooth may continue to ooze a little blood for some time after taking a tooth out. This often looks worse than it is as it mixes with your saliva. Try to leave the area alone and do not rinse out too much. On the night of the extraction do not drink alcohol as this raises your blood pressure. If your mouth is very obviously bleeding from the site where the tooth was removed, you need to apply pressure to the area with the sterile gauze pack we gave you, or a clean, rolled up cotton handkerchief. Do this for at least 20 minutes. Once the bleeding stops, follow the suggestions above. If the bleeding does not stop contact the practice during surgery hours and we will see you as soon as possible. If this happens out of surgery hours use the emergency number for advice. If a front crown becomes de-cemented this can be very embarrassing. Please contact the surgery during working hours and we will see you as soon as possible to re-cement it for you. Out of hours, denture fixative or sugar-free chewing gum, can be used as a quick fix – never be tempted to glue your our crown back on as you can do a lot of damage to the crown and your tooth . If a back crown comes of contact the surgery during working hours and we will re-fix it in the next few days, at your convenience. This is a very common problem that can be controlled by thorough brushing and flossing of your teeth on a daily basis. Our hygienist will be able to advise you. ered to you over the next week. If it is causing you a lot of pain we will see you as soon as possible. If a tooth is knocked out completely do not panic. If possible nd the tooth and if it is clean push it back into the socket, and attend the practice promptly. Try not to touch the root of the tooth if possible. If it is not clean or you cannot replace it, store the tooth in milk or just inside the mouth of the child who has lost the tooth, (Cheek side their back teeth). This will help to keep it clean and stop it drying out. Go straight to the practice during surgery hours, ring ahead if possible. 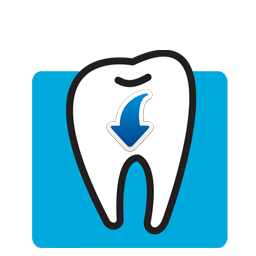 The more quickly the tooth is replaced the more chance it has of surviving. Teeth pushed out of line also need prompt attention. If the accident happens outside of surgery hours use the emergency number.